Nearly everyone would like to get a classic hardwood floor due to their natural looks and known durability. However, steep prices make this impractical for many. 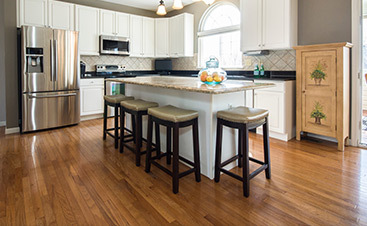 Laminate flooring offers the same stylish appearance of hardwoods at a fraction of the cost. There are so many variants to choose from including maple, birch, pine and oak. 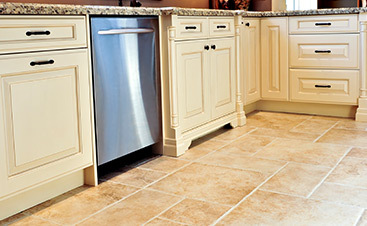 Laminates can also mimic the appearance of natural stones and ceramics. Marble and granite are now within reach. The reproduction doesn’t end with the patterns either as the lamination process can copy the textures of the featured materials as well. People who wish to purchase laminate flooring can simply go to their favorite hardware store and pick up the strips they need without issues since they come in sensibly sized strips and tiles. Carrying them and loading them inside the car should be a breeze. Buying from an online store is even more convenient as they will be delivered right on the doorstep. Their relatively small sizes make handling incredibly easy unlike natural hardwood flooring materials that are often sold as 10-foot planks or longer. Another reason why people are flocking to laminates is that installation is pretty straightforward. Homeowners can do it themselves if they wish to save some money, although hiring pros will make things go quicker. Quite a number of them are designed to link together at the sides so there isn’t even a need for messy glue. The job can be completed in under a day by a competent builder. 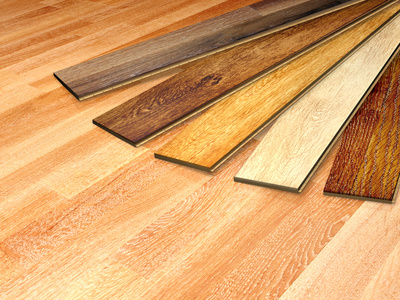 Laminates can also be installed on top of virtually any type of subfloor. Homeowners don’t have to go through the trouble of stripping the old floor bare before proceeding. Laminate flooring is a joy to have as it requires very little in terms of maintenance. The topmost layer has a protective coating that keeps dirt and stains away. Moisture will not readily penetrate this barrier. Spills can be quickly wiped away while dirt can be readily swept or vacuumed. No special arrangements are necessary to keep it looking nice and clean. It even prevents harmful organisms like bacteria and fungi from growing to keep the family safe. Walking barefoot around the house shouldn’t be a problem, especially with products that have an additional anti-bacterial coating. Floors are subjected to a lot of stress from foot traffic, extreme temperatures, harmful chemicals, ultraviolet light, and more. Laminate flooring is engineered to shrug these off with their durable layered design. They have high immunity to discoloration, fading and wear. 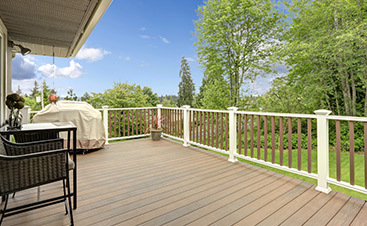 These characteristics make them ideal for sunrooms, hallways, kitchens, and other areas that demand a high degree of durability. Do you need a quote on a laminate flooring project in New Jersey? Contact us today.